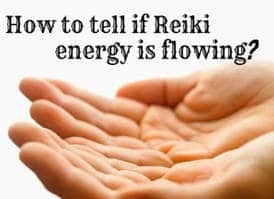 ​On many occasions, I come across Reiki practitioners who complain that they do not feel the flow of Reiki Energy despite trying everything. This is quite a common thing that happened to new practitioners. At times it also happens at later stages – many of those who have been practicing level 2 or 3 also start feeling the same thing and complain that they no more feel the energy coming into their hands and thereby they cannot pass on to the others while healing. While there can be many reasons the most common among them is the fact that you have not been practicing regularly. Therefore the first thing is to start practicing regularly and then see if the fact still remains. Distraction – This is one of the main reasons you do not feel the flow of Reiki Energy and say that the flow stopping suddenly. Distraction does not only mean any sound on disturbances during the practice of Reiki. It is more to do with internal disturbances in the mind. One of the main reasons for this is the day-to-day happenings and tensions which can keep you preoccupied and do not let you relax. The best way to overcome it is to start your session with at least 10 minutes of meditation; which can be in the form of Pranayama or Hara breathing. Confusion – Most of the time I come across many people who try to do too many things together. For example, some of them “boast” of having done certificate courses in Pranic healing, Reiki healing, Acupressure, Angel healing, past life regression healing, etc, etc. You can imagine what a confusion it would create if we try to mix up and get knowledge of everything. Procedural Issues – Although it is not a very important factor it can play a role in case you do not feel the flow of Reiki Energy. It is very important to learn and follow the right procedure. Therefore doing your Reiki level 1 from someone whom you can trust to teach you the right method is of great importance. If you do not learn the Reiki level 1 properly chances are that any other level beyond it would not be compensating for the loss since it is the stepping stone to your father foray into the world of energy healing. Collecting certificates, attending seminars will NOT start the flow of Reiki Energy. While knowledge is good it is always better to practice one thing sincerely. It is important to understand that all the systems of Holistic healing are exactly same in nature so whichever suit you the most. Just pick up anyone and start practicing. Not practicing regularly is the main reason you do not feel the flow of Reiki Energy. If you really wish to feel the flow and see life-changing results then the best way is to practice regularly.